The P.T. inspired Layers of Fear falls a bit short of the greatness of its precursor, but nevertheless provides plenty of its own scares and atmosphere that separates it as its own achievement. 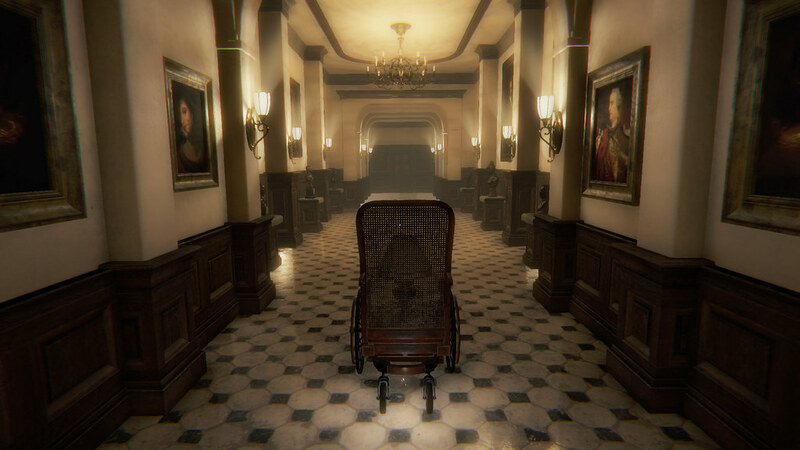 Layers of Fear has the player traversing a deserted Victorian-era mansion in an attempt to find the scattered about artifacts that will lead to the completion of the unnamed protagonist’s painting. However, as you delve further its the crevices and depths, the mansion becomes twisted beyond comprehension, reflecting the artist’s mad psyche and the ghosts that haunt him. Much like its inspiration P.T., Layers of Fear has little in the way of actual game mechanics. Your primary method of interaction with the world is simply walking from room to room, with some light puzzle solving and collectibles. Much of the challenge involves actually finding the courage to walk down its dark hallways, or towards the ghastly screams around the corner. Played in an optimal horror setting at night with a pair of headphones, the hurdles of your own bravery (or cowardice) more than make up for the lack of any truly deep gameplay. And it’s the scares and terror of Layers of Fear that make it so interesting. While the premise of travelling down seemingly never-ending rooms and hallways isn’t an original one, the aesthetic of this particular horror is. In keeping with the painting theme, the world of the game itself feels much like a canvas, with walls and furniture melting away, twisting into absurd shapes, or covered with streams of paint. Along with the unsettling visuals is the constant use of impossible space, never allowing the player to become comfortable with their surroundings, if that was at all possible anyway. Much more obviously inline with the theme is the numerous paintings adorning the walls, sometimes terrifying, and always disconcerting that shared with the Victorian setting truly separate Layers of Fear into its own brand of horror. The scares themselves give Layers of Fear the feeling of a Halloween haunted house, as almost every single room you enter will have moments of jump-scares to always keep you at the edge of your seat. Unfortunately, these jump-scare moments are so frequent that it may actually work against the game in the end, being so common that they begin to lose their edge in the later parts of the progression. The game does offer some more quiet moments to collect your senses while still sustaining a sense of dread, and more of these to pad out the long stretches of outright horror would have only heightened their effect. Nevertheless, the frequency of the jump-scares is so impressively creative and varied that if you’re at all as prone to them as I am, will almost always manage to get you. Even with shocking instants aside, there is always ghastly imagery and disturbing sequences that will leave you if not scared, then entertained by their sheer creepiness. While the actual scare factor of Layers of the Fear is high, the plot leaves much to be desired. In spite of the creative horror at play, the story of a mad artist and the loss of his family never manages to deviate from expectations, and is ultimately predictable. The artist character that players take control of through the game Is entirely unsympathetic and not relatable at all, as his mad behavior is apparent right from the onset. Collectibles are strewn throughout the numerous rooms to provide insight into the events preceding the game, but these often detail the exact horrible things you can imagine from the description of the plot. Oddly enough, it’s the satisfaction of braving the world and exploring thoroughly in defiance of the fight-or-flight response that allows the collectibles to feel rewarding and satisfying in obtaining rather than the narrative they provide. Notwithstanding the shallow plot, the inclusion of multiple endings at least helps to promote further playthroughs despite the very scripted horror. Nitpicking aside, Layers of Fear accomplishes exactly what it sets out to do. A thin narrative and uneven pacing don’t hugely detract from the fun and horrifying experience it doles out. Relishing in its aesthetic and mood, the game delivers a creative and very fun scare-fest that separates it from other similar endeavors. Anyone looking for a spooky haunted house experience will be more than happy with Layers of Fear, and may need to stay away from any art galleries for a while afterwards.